Are you an internet service provider or system integrated to provide service for manage and installation of a network? This post important for all who manage a fiber network for own company or for internet providers. Today technology moving to the next step where we are crossing the speed limitation every day. When we limit on Cat6 network due to length and speed limitation now the fiber taking replacement of every copper networks. 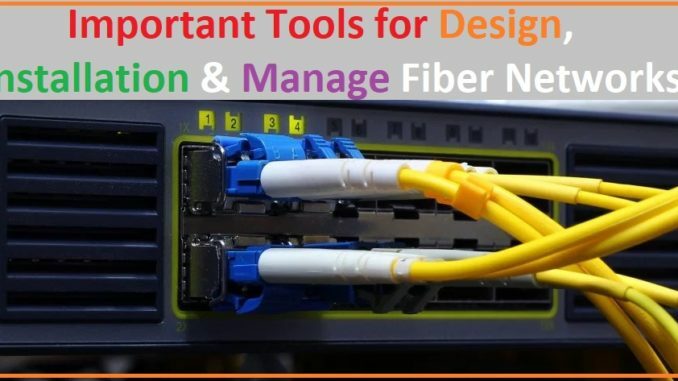 keep these important Tools for Design, Installation and Manage Fibre Networks to keep away problem from your network. To manage and installation of fiber network there many important and useful tools required to avoid miss use and wrong implementation. Fiber cable speed capacity is more but the fiber cable laying procedure is the most important task. Using fiber tools and installation machine very important to provide a quality and professional work. See the complete list of fiber machine and tool with usage on a fiber networking structure. Fiber Optic Tool Kit for network manage and installation. This list will helpful and important for you if are planning to start new fiber network or thinking to switch your Cat6 network to fiber network. Using proper fiber optic toolkit will be faster and reliable network implementation with zero revenue and data lose chances. This list sorted as per price range. Means the high price to low price range. Fiber splicing machine is tools to use to joining to optical fiber cable end to end with heating. Spicing machine important for termination and connecting any fiber cable to client endpoint. The main cable lay from main server room with multi-core so when we want to terminate any core with particular client site connection it’s only possible with fiber splicing machine to splice the single fiber cable to fiber splitter box. while buying new Fiber Splicing machine don’t forget to get a user manual for how to use fiber splicing machine in fiber network. There are many Fiber Splicing machine brand available in the market with price range starts from $1500 approximately. Fiber power is an important factor to make a stable and lose free network connectivity. Optical fiber power only can test with a power tester which measures in dBm. 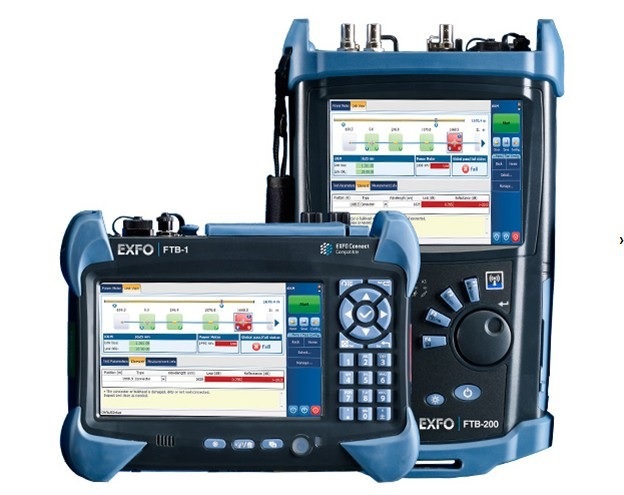 Before connecting any fiber patch cored and fiber cable power must be tested to avoid disconnection and packet loss (RTO- request timeout) in the network. 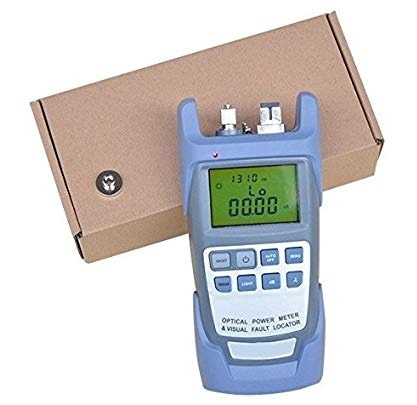 Fiber tester is a meter which required to connect fiber both end and its show what power getting on the same cable. After testing cable power you can decide to installation if getting proper power which required for proper connectivity. Visual Fault Locator is small red laser light tools to test the optic cable fault physically eyes. Physically it is a small torch to locate the fault in fiber patch cord and cable laying in the network. Its pass the light to end if cable fine but if cable break or band than light not reached to an endpoint it means there is an issue with the cable. 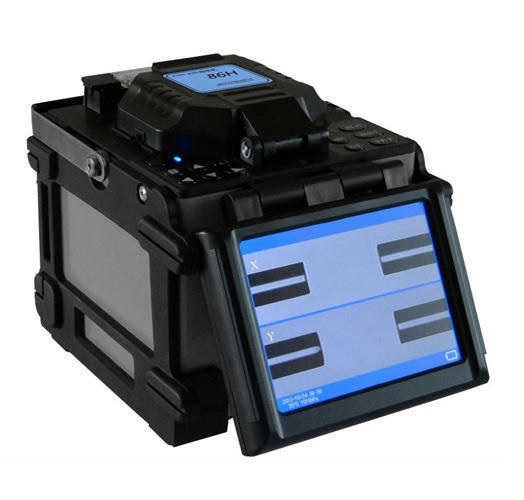 With using Fiber Visual fault locator you can quickly find the cable loses in the network. This fault locator also useful to check fiber patch cored continuity before connecting to the network. Approx. 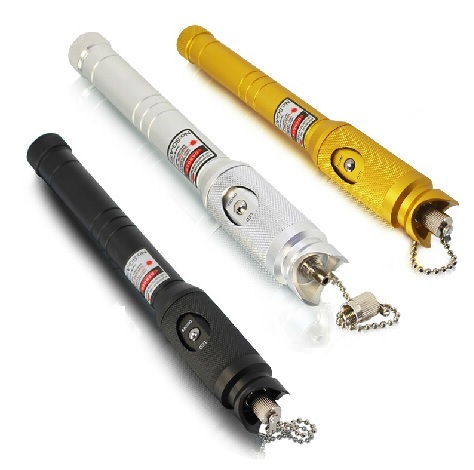 the price range of Visual fault locator with red light fiber optic cable tester is $20-$25. This tool is last but not least on my list. 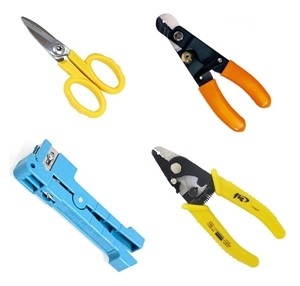 These cable cutter stripper and fiber cleaver tools are small but important in every task of the fiber network. While installation of new fiber or splicing fiber cable you required cutter and cable stripper both. After installation, while maintaining and fault find you again required cable cutter and stripper to keep your fiber network problem free and stable connectivity always. You may be required user guide “how to use splicing machine to joining two fiber cable” but there is no guide required for cable cutter and stripper.